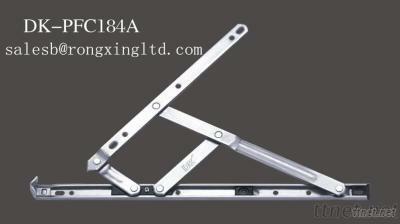 Rongxing Stainless Steel Products Co., Ltd.
1) Strong Loading capacity: Maximum weight125KGfor the top-hung window, ehance the security as well as the Locking function. 2)Adjustabe: The linearity hole design makes it to be adjustable when installing. 4) ISO9001. ISO14001, CE certificate available. 5) All kinds of opening requirements of customers can be satisfied. Construction, Door, Window & Accessories/n.e.s., Door, Window & Accessories/n.e.s.